Turbo Wax Professional Grade Shampoo Covers your vehicle with conditioners and gloss enhancers. The thick suds our car shampoo produces safely lifts & releases dirt and grime from your vehicle finish, leaving a slick “Show Room” shine! 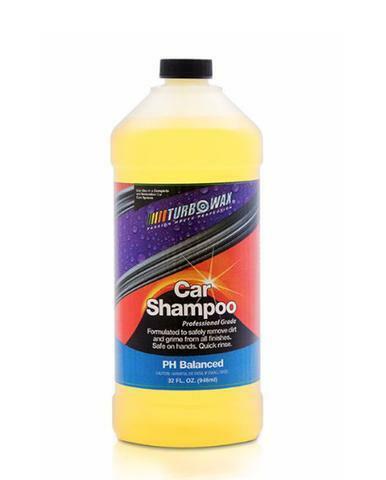 Our shampoo is Ph7 (neutral) Balanced so it will not strip your vehicle surface of its pre-existing sealant.